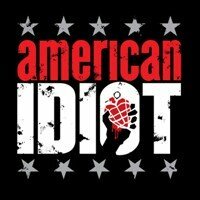 If you’re a fan of Green Day and their super-successful rock opera ‘American Idiot’, then you simply have to check out this incredible musical based on it. Directed by Michael Mayer, and written by Green Day frontman Billie Joe Armstrong himself, the story focuses on three young males - Johnny, Will, and Tunny - who flee their suburban lifestyle - and, of course, their parents. American Idiot will be performing 5 events in Bridlington between Tuesday 7th May 2019 and Saturday 11th May 2019 at the Bridlington Spa. Scroll down to see all ticket options and prices. If you'd like to see a list of American Idiot events, please CLICK HERE. We display the most accurate ticket prices available to us, but American Idiot ticket prices can change based on demand & availability. Stereoboard takes no responsibility for any difference in prices, or accuracy, displayed here and those on external sites. Our listings are purely for information purposes only and we are unable to verify any accuracy.